Maha Shivaratri literally means the great night pertaining to Lord Shiva. Lord Shiva represents the all pervading Divinity: the one with unending love, the ever pervading formless one, the innocent yet aware one. 'Ratri' refers to the night where rest happens. 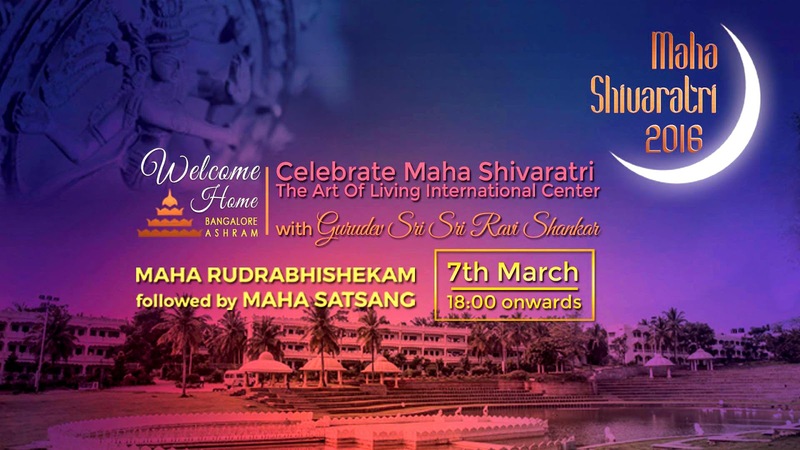 Usually when rest happens during the night one is not conscious, and when one is conscious, rest does not happen but Maha Shivaratri is a time for both to come together - a deep conscious rest!! The Art of Living International Center will reverberate with pujas, chanting, and meditations through the night. Join us for this wonderful celebration and dissolve into Divinity!